Hello and thanks for your interest in Royal Tine and pursuing a lifestyle in the outdoors. Below is a little information on ourselves. As you’ll see, we are always hunting, fishing, packing, guiding and generally enjoying each day in the great outdoors. What this means for you is that we live what we teach! We do not hire a teaching staff; we are the primary instructors at the school along with one assistant instructor who is also a professional guide. This is something you won’t find at other schools; we teach from years of real experience. We look forward to meeting you in an upcoming class where we’ll show you how to live an exciting life in the great outdoors! We are avid archery and rifle hunters and spend well over 300 days outdoors and over 200 days actually hunting/guiding every year!! 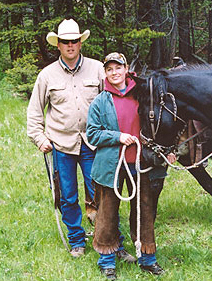 Both of us, Cody and LeRee, have ranching and livestock backgrounds being born and raised in rural Montana. Every year we guide, pack, and cook for our own outfitting business, Royal Tine Outfitters. 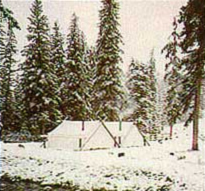 Over the years, we have worked for numerous outfitters packing, guiding and camp cooking in Alaska, Arizona, Idaho and Wyoming. 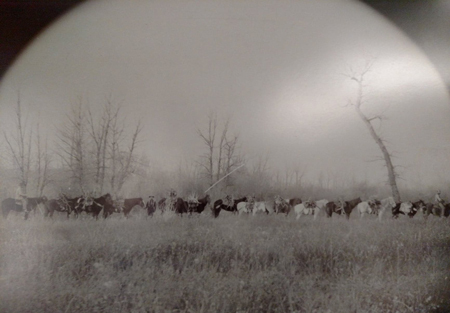 We maintain a herd of 25 horses and mules as well as a large pack of black and tan lion hounds. 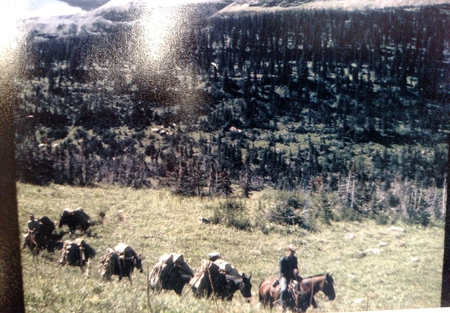 We also sub-contract with the Forest Service for packing supplies for fire fighters, transporting trail building materials like lumber for bridges and explosives for trail building with our mules. The last several years during the winter months, we have been employed by the Federal government on a mountain lion study project. We track and dart lions for DNA samples, collar them and release them …you’ll see a lot of great lion pictures on our Instagram feed and Facebook page. 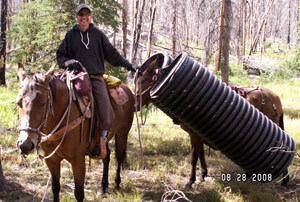 LeRee graduated from Missoula Vo-tech as a certified small engine mechanic and pipe welder. 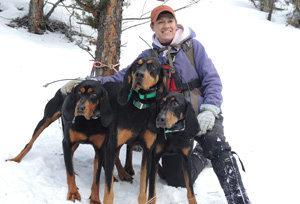 She is also first aid certified and is active in all aspects of owning and operating the guide and packer school. She is the main instructor of the camp cook school, head cook for the guide school and a Dutch oven master. 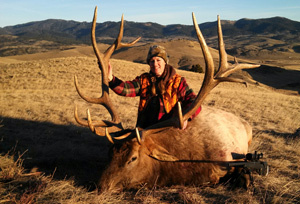 She is also a state licensed hunting guide for elk, deer, moose, bear and mountain lion! Lately, her main passion and focus is raising and training hounds. 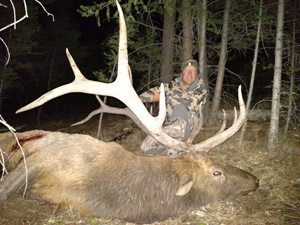 Cody has held a state hunting guide license since 1994 and a Montana outfitter license since 2005, he graduated in 1992 with a BS degree in business and a minor in human resources management from the University of Montana. 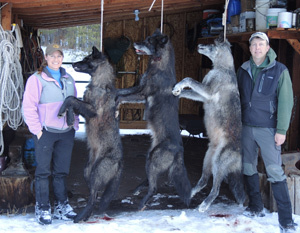 He is involved in all aspects of owning and operating the guide and packer school. He is your main guide school instructor and is also first aid certified. 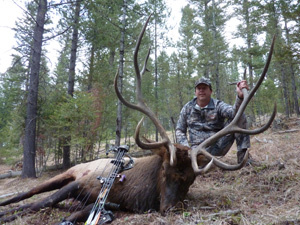 After the guide school, in fall and winter you will find him guiding elk, deer and lion hunters in Montana. In the winter between chasing mountain lions, Cody likes to weld and build custom off road projects, snowmobile and 4x4. 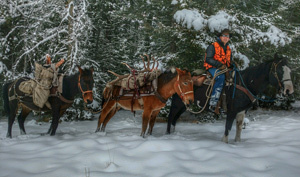 For fun, both Cody and LeRee’ like to trail ride into wilderness backcountry areas on horses, hike the hills looking for shed antlers, and hound hunt. There are so many great recreation opportunities the Western mountain states offer, and we love ’em all! We started the guide and packer school in 1994 and every year it just keeps getting better. 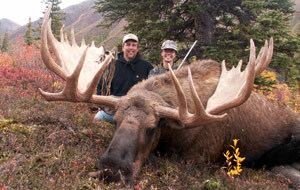 We love the outdoors and hunting and want to share this passion with you. Give us a call today and we’ll help you give this life a shot! 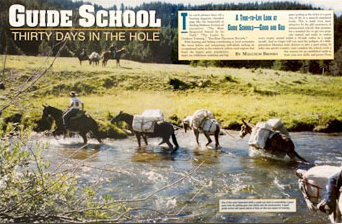 The Royal Tine Guide School was featured in an issue of Peterson’s Hunting Magazine and received great reviews. “…Russ and I were invited to visit Cody Hensen’s school in Philipsburg, Montana. We almost declined out of sheer spite for the entire outfitting industry, but our curiosity won out and we ended up amazed at Hensen’s outfit. 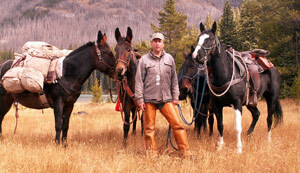 He conducts classes in a remote region of a 14,000 acre ranch, far from asphalt and interstate traffic. He keeps the number of enrollees to 8 per class to allow for increased one-on-one work and to better monitor the progress of each student. 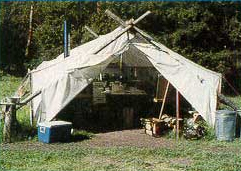 Most importantly, Hensen actually teaches the classes himself, going so far as to stay in the wall tents with his students for the duration of the 30-day class session. His desire to provide a thorough education is so intense that he even passes on such oblique knowledge as bow-and-drill fire making.